Don Carlos Andrade's well loved hidden-tang Personal Chef model, this time in 1095 carbon steel with clay heat treatment and beautiful bloodwood handle with antique paper micarta bolster and inlay. 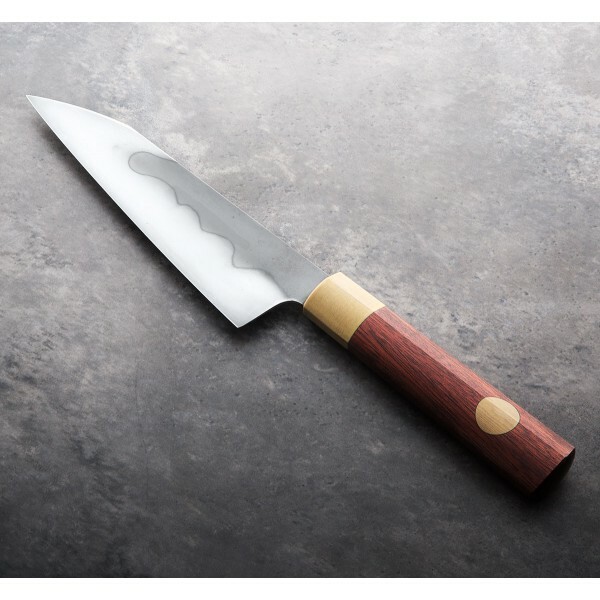 With Don's always impeccable geometry and balance, this 172mm / 6.77" blade is the ultimate daily workhorse for home and professional kitchens alike, featuring convex secondary blade bevels hand-formed and inspired by Don's years in find dining kitchens. His version of a wa-style handle leaves nothing to be desired. A cloth covered protective case is included. 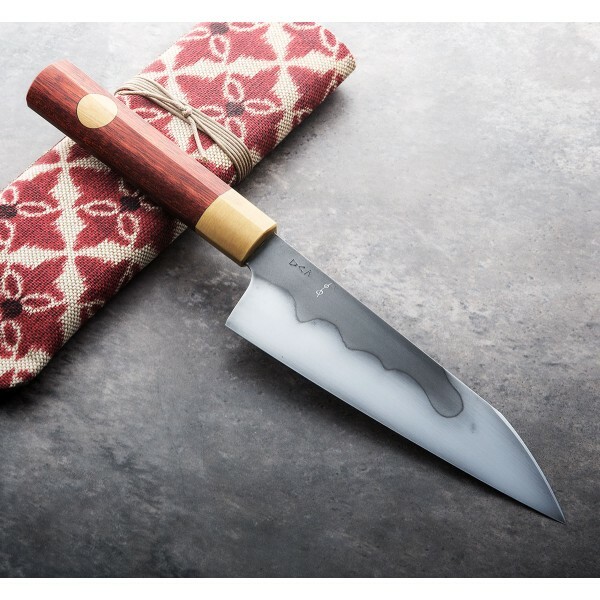 A trained chef with fine dining experience, an accomplished bronze and stone sculptor and a talented blacksmith, Don Carlos Andrade combines his talents to design and create stunning heirloom-quality chef knives at his one-man shop in southern California. 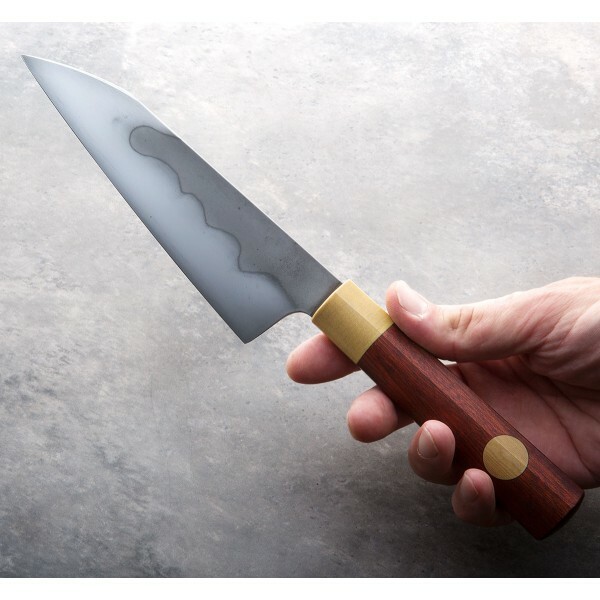 Combining only the finest elements, from wood to vintage micarta to our favorite steels, Don's knives are the ultimate marriage of form and function, built for daily use and designed to turn heads for generations. 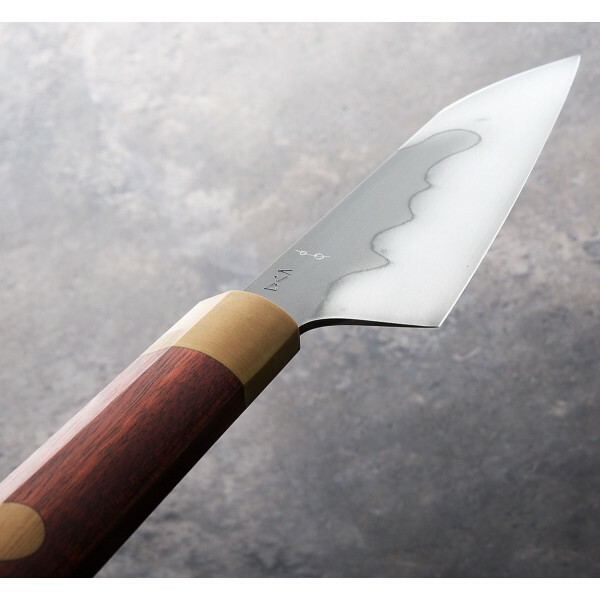 Blade length: 172mm / 6.77".  Overall length: 12.5" overall. 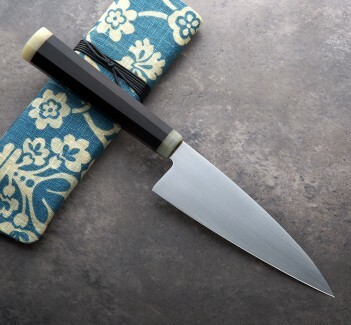 Blade width at heel: 3.0mm. Blade width 1" from the tip: 1.8mm. Blade height at heel: 48mm. Weight: 5.6oz / 158g. 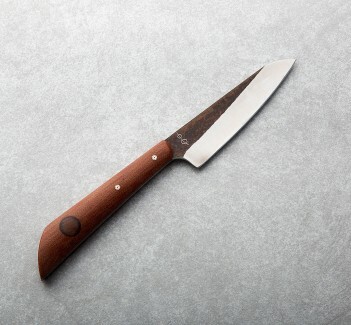 Blade: 1095 carbon steel, polished and etched with clay hamon line. 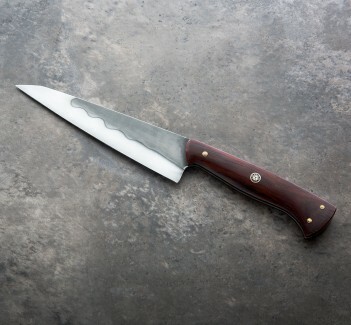 Handle: Bloodwood with antique paper micarta bolster and inlay.